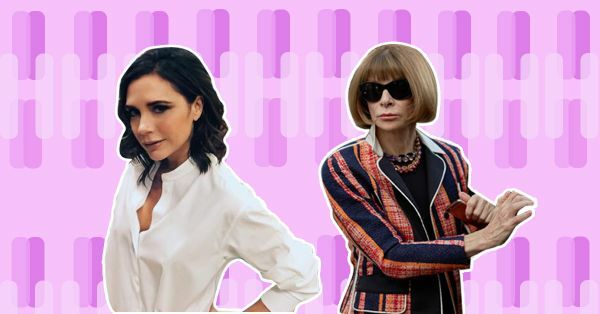 9 Super Cool People From The Fashion World Whose Jobs We WANT! Fashion as an industry is hard to ignore. Especially when you’re obsessed with it! If you like to stay updated and see yourself working in fashion, here are 9 important names in the fashion industry you should know. Because their jobs are beyond envious! Anna Wintour has been the editor-in-chief of Vogue since 1988. Her trademark bob hairstyle and dark sunglasses aren’t the only reason she’s such an important figure in the fashion world. Wintour was the editor of British Vogue for about 2 years before she took over the franchise in New York. She’s known for reviving Vogue, the way she used the magazine to shape the fashion industry and her eye for trends. Her former assistant wrote the best selling novel The Devil Wears Prada which was later made into a successful film! From being a part of pop group ‘Spice Girls’ to shooting about 5 documentaries and having a design label under her name, Victoria has done it all! Over the last few years Victoria has been recognised as a style icon and fashion designer. She launched a label under her own name in 2008. She’s a guest editor at Vogue and recently participated in a panel discussion at Parsons. She also showcases her work at the New York Fashion Week twice a year! Karl is the head designer and creative of the fashion house Chanel as well as Fendi and his own label. He’s a fashion designer, artist and a photographer! His trademark white ponytail and black sunglasses are hard to miss. His collaborations with brands along with an eye for reinventing style is what he’s best known for! When you talk about fashion bloggers and digital influencers changing the game, Aimee Song is one you shouldn’t miss. Aimee started her own fashion and interior design blog while studying interior design in 2008. At a young age of 25, Song has established herself in two careers! She’s a sought after interior designer and runs her own blog by the name ‘Song Of Style’. 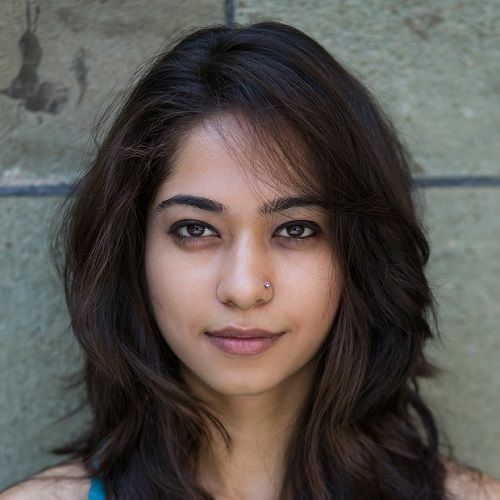 She’s made it to the Forbes 30 Under 30 list as well! 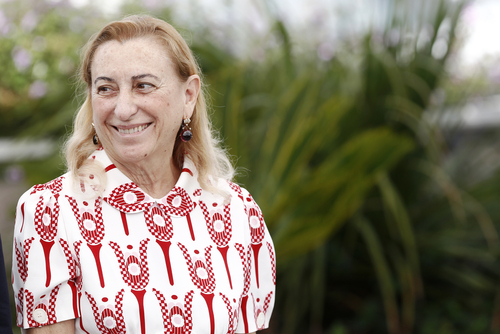 The youngest granddaughter of Mario Prada (founder and original designer of fashion label Prada), Miuccia is the head designer at Prada and the founder of Miu Miu. Businesswoman at heart, Prada transformed her grandfather’s leather manufacturing business into a thriving company that acquired other labels. She also introduced Miu Miu as an inexpensive womenswear line inspired by her own wardrobe! Her line of understated black handbags and other products were revolutionary at the time when other brands’ products were flooded logos. In 2014 she was listed as the 75th most powerful woman in the world by Forbes! The Blonde Salad, Chiara’s blog is a one stop shop for fashion, lifestyle and shopping! She’s a businesswoman and fashion blogger known mostly for her digital presence and collaborations with big brands. She also has her own line of shoes with the name Chiara Ferragni Collection known for the flirty, fun designs perfect for the youth. All the shoes are made in Italy and crafted from genuine leather and handmade sewings. Marc is the head designer at his own fashion label, Marc Jacobs and Marc by Marc Jacobs, a diffusion line. Marc was the creative director at Louis Vuitton for 17 years and he single handedly made it the most powerful parent company. He created the first ready-to-wear clothing line for LV and he’s known for collaborating with artists for his Louis Vuitton collections. He’s a creative genius who knows fashion inside out! You might not immediately fall for his creations on the runway, but as the season changes, you’ll love it! Richard Avedon // "How many pictures have you torn up because you hate them? What ends up in your scrapbook? The pictures where you look like a good guy and a good family man, and the children look adorable...and they're screaming the next minute. I've never seen a family album of screaming people." Richard Avedon is a revolutionary fashion and portrait photographer known for not conforming to the standard technique of fashion shoots with the model looking emotionless and indifferent towards the camera. He worked with magazines like Vogue and Harper’s Bazaar for most of his career. His style of photography showed models full of emotion and in action - which was revolutionary at the time! He’s worked with Marilyn Monroe and The Beatles to name a few. Maria worked with Valentino for the best part of her career. In 2016, Chiuri was announced as the Creative Director of Dior. Maria is the first woman to lead the creative team in the label’s history. Soon after taking over, Maria made news because of the ‘We Should All Be Feminists’ t-shirt. In today’s day and age, Maria is one to look out for!